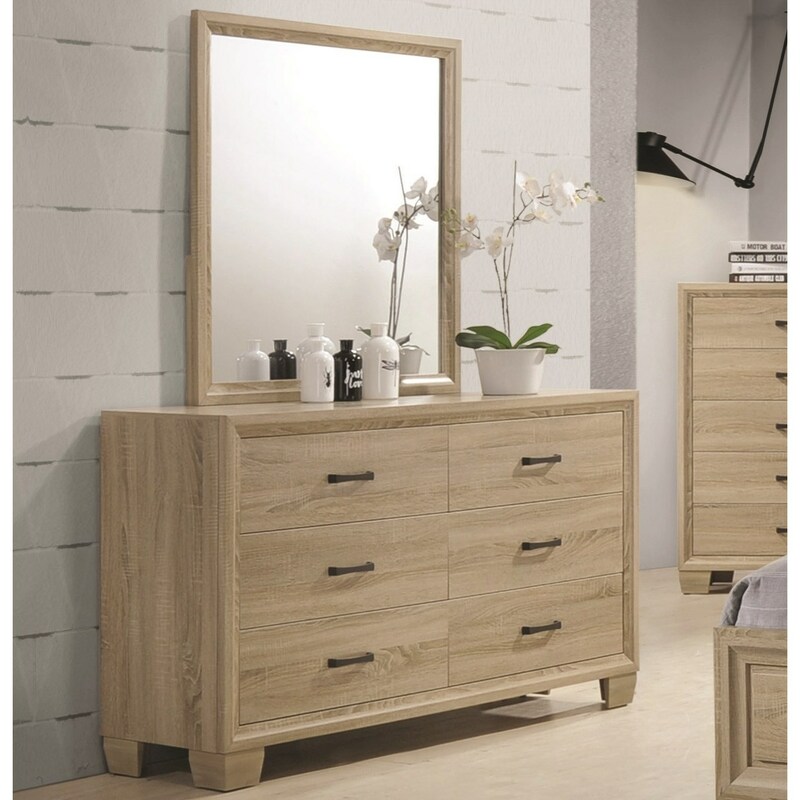 Two bedroom essentials in one, this dresser and mirror set offers everything you need, without taking up precious floor space. 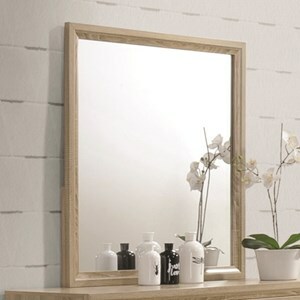 The beautiful white washed oak finish of the dresser and mirror frame can easily match with any existing bedroom decor in your home, and the black finish of the handles adds a nice contrast to the lighter tones of the pieces. Felt lined top drawers are an additional bonus, providing a space for you to safely store jewelry or delicate items. 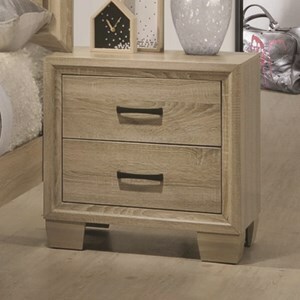 English dovetail drawers offer structural integrity to the dresser, making this set both visually appealing and sturdy. The Vernon 6 Drawer Dresser with Portrait Mirror by Coaster at Value City Furniture in the New Jersey, NJ, Staten Island, Hoboken area. Product availability may vary. Contact us for the most current availability on this product. 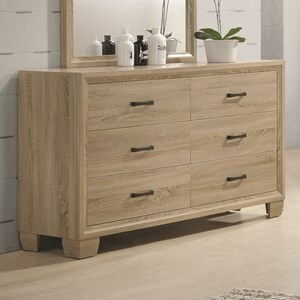 Featuring durable, easy to care for pieces, this bedroom collection is perfect for everyday use. 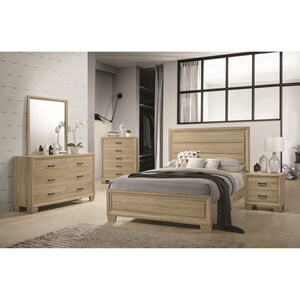 Your bedroom is meant to provide comfort and a place to unwind, and that's exactly what this collection offers. 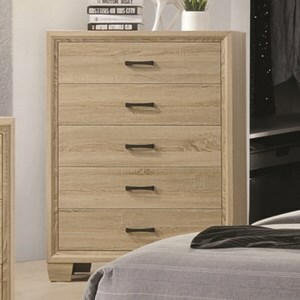 The transitional style of the white washed oak finish lends a hand to the modesty of the overall look, while the English dovetail construction of the drawers provides reliable strength for all your bedroom essentials. Clean, straight lines featured throughout these pieces establish a rhythm that pulls this collection together as a unified whole. The Vernon collection is a great option if you are looking for Transitional Casual furniture in the New Jersey, NJ, Staten Island, Hoboken area. Browse other items in the Vernon collection from Value City Furniture in the New Jersey, NJ, Staten Island, Hoboken area.